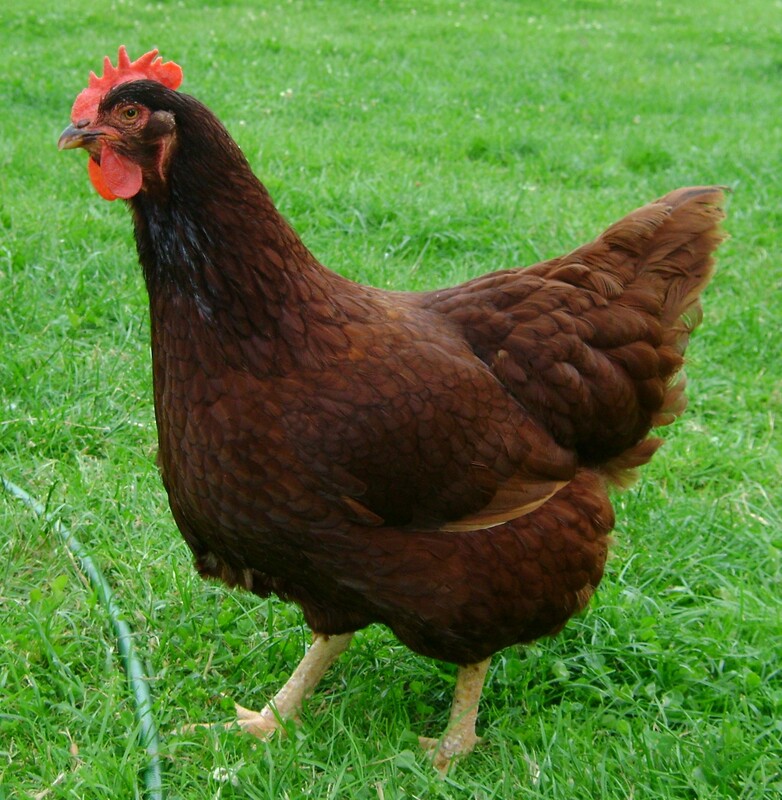 Blog Posts » Decide what breeds our new chickens will be! I mentioned the other day that I had found a breeder that my dad is very much considering getting his next flock from. In fact this weekend they tore down the old chicken coop in preparation for sanitising the ground and putting the new one there! We thought it would be a really cool idea for the people who have donated to choose their favourite breeds and, if possible, we will endeavor to get them! We can't make any promises as it depends on what the breeder has for sale when we go visit them, but it's a cool idea right? Okay, these are the breeds I've researched and picked out...some of them are standard and some of them are banties. My mum has said she doesn't really want banties, but my dad doesn't mind. Plain but pretty! Long lifespan, good egg layer and friendly. Very beautiful markings and would really stand out. Docile, friendly birds. Very unusual bird and I only discovered this breed recently - apparently they are relatively new in the UK. 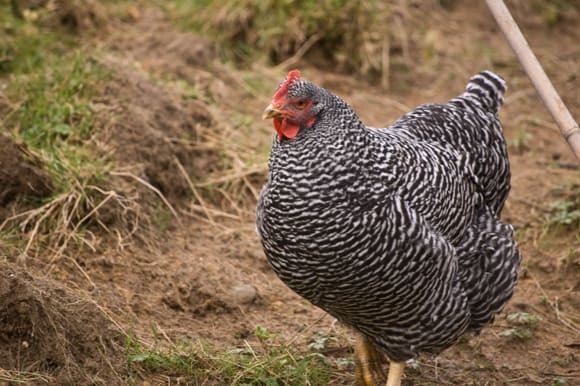 They prefer to free-range but tolerate coop life well. Pretty hardy and very traditional looking. Good layers. Tiny, pretty and friendly. Also require little space. Cuuute! These are really quirky and funky looking. I have read they prefer space to roam, so I'm waiting to talk to people about this. They also enjoy roosting and climbing in branches and perches, so my dad would need to add 'toys'. 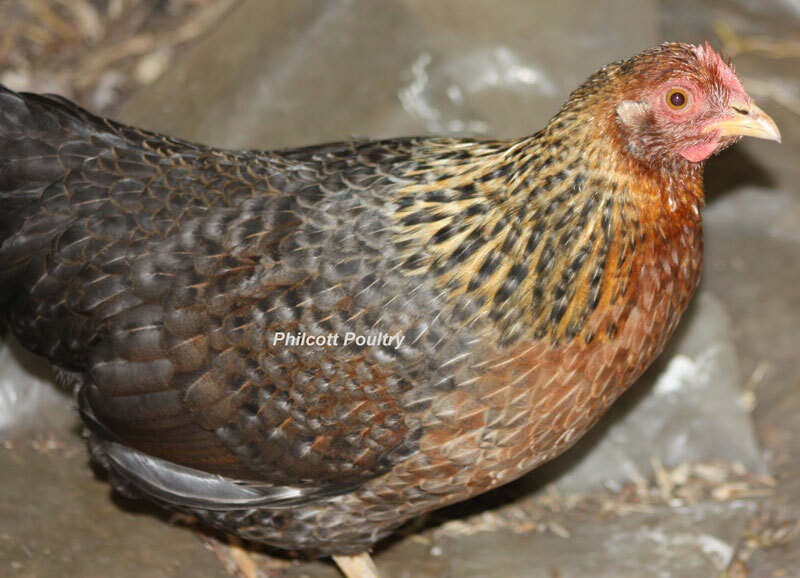 You might want to google a Speckledy hen as the one on Omlet's site doesn't look as speckley as most. I think these look really pretty in a subtle way, and they all look slightly different! And finally, especially for Lynn: Silkie! This is where it starts to get a bit exciting - we thought it only fair that those lovely people that have helped us towards our new coop should be the ones that get to say which breeds of chickens we should try and get! Although we haven't actually found a replacement coop yet, we are looking and so we might as well start thinking about what hens will get to live in there too! My dad is planning on buying Omlet's (expensive) Cube house and run, as it was the only one I could find for him that is all plastic, which is what he wanted, and that my mum liked the look of! They will be getting the 3m run, meaning it measures about 9ft 10 inches long (I think) and 120cm / 3ft 11 wide. You can see photos on Omlet's site, although I think most the birds they use in the photos are young or smaller breeds, making sizing difficult! There are also videos on YouTube too...if you follow the link below, the video (with the orange house) has a 3m run attached, the second photo (purple house) has a 2m run and the third (yellow house) is a 3m again. So, how many birds do you think could comfortably fit in there, with possibly a little infrequent free-ranging time? They will have toys in the form of perches, mirrors, sand baths and possible a swing (!). I know it's hard to picture the size without seeing it in person. I was thinking either three standard size breeds, two standards and two bantams, or five banties?! What do you guys think? Bantie pekins! But I'm biased.I like Wyandottes too because the black & white ones look like cartoons that haven't been coloured in! Will pass on your vote! I wish I could find some Sebrights, they're a favourite breed of mine...I like their delicate appearance, small size and of course the wonderful markings like Wyandottes. 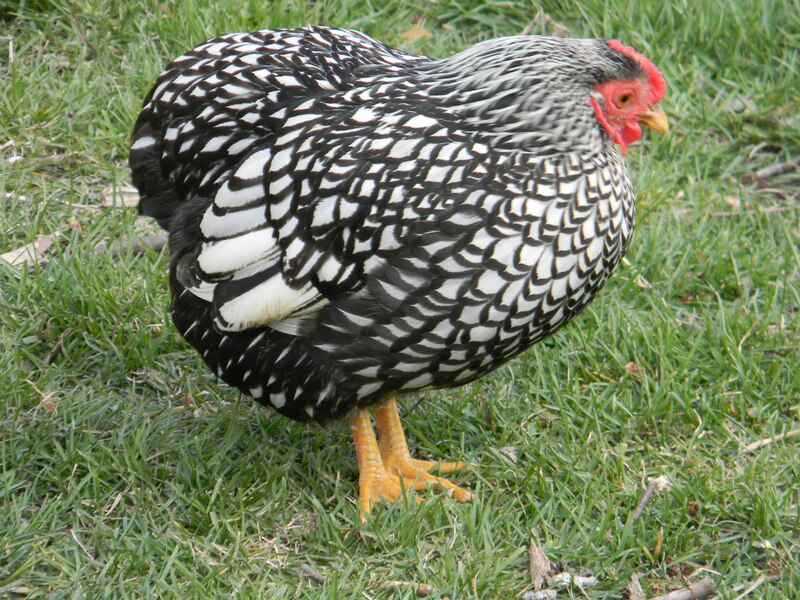 Love Japanese Bantams too, another favourite, but I don't think they want too many banties! I left a comment on the video a few days ago, saying that the house and run wasn't big enough for the number of chickens they were claiming, but saying that I did like the Cube, I just wished it was bigger and Omlet were more truthful about the needs of the chickens. I'm pretty sure they have deleted my comment. Now this is really gross. I also reviewed the Qute on their site, and they never posted my review. The Qute is a rodent cage that they market for Syrian hamsters and gerbils. Syrian hamsters need large cages, as they are big rodents and naturally roam. A recommended cage size is 80cm length, not including platforms. A pair of gerbils should have an even bigger cage. The Qute measures 37cm x 48cm - way WAY too small! Omlet products do have really good reviews...now we know why. It's a shame as I do genuinely like their products, if only they were honest about the needs of the animals. I know absolutely nothing about chickens, but I remember very early on after becoming a member of the forum some links were posted (probably by Red!) and I adored the Wyandottes - very pretty. Think the final decision should be your mom and dad's though - they're the ones that have got to look after them!!! RIR is a bit...normal - don't forget we're predominantly a bit...eccentric! I love pekins, because I've got two...I love the wyandotte...I like the way the silkies look like ladies in bloomers... Face it, they're all lovely. Ok, so that's the list whittled down to 10. We're going to need a bigger coop! How can we choose?!! The Amber Star looks like it only has one leg in that picture! The speckledy makes me think of the story of Henny Penny (or Chicken Little) where (s)he thinks the sky is falling in - I assume when I read the book as a child the chicken must've looked like that. I still like the Wyandotte but any of them are great. Posted By: Red I already posted this earlier! Oops, sorry Scarlet Didn't see it or it got buried somehow - balls! Can you merge them or something? Posted By: Kateb How can we choose?!! The Amber Star looks like it only has one leg in that picture! The speckledy makes me think of the story of Henny Penny (or Chicken Little) where (s)he thinks the sky is falling in - I assume when I read the book as a child the chicken must've looked like that. I still like the Wyandotte but any of them are great. Scarlet reminded me of something Lynn once said, although her Silkies are really lovely and sweet girls, the breed itself don't seem very hardy - and I'm not sure if the UK weather would really suit them? On the subject of Chicken Coops... I kind of set my heart on the Omlet Cube, from their website it's big enough for lots of chickens and, if you believe their blurb, affords you some kind of magical shield against red-mite. I'm not impressed by them removing negative reviews from the site (why not reply if you stand behind your product? ), and really not sure the price justifies the end result. Scarlet found a huge metal run which *might* fit in the space (although it will be tight) - then we have to find a decent house for the hens and we'd be set. I still need to run this past Helen as she liked the look of the Omlet... But the metal run wouldn't be very in-your-face so I quite like that. Oooo Neil, go to 'flytesoffancy' website; can we have a run shaped like a caravan? Can we, dad, can we?? Could you put a link up so others can marvel - I don't know how to do links. Flyte So Fancy, it's called. The metal run is around 10ft x 7ft - that would mean it could happily hold six standard size hens, and significantly more if you went with banties mixed in! That would be awesome! It's pretty, but four grand?! It doesn't look particular better from the chickens point of view? Thought with a different coop maybe. First impressions from Helen aren't favourable (she said it looked a little too much like a prison! ), but she hasn't seen these pics only a plain one, which did look a bit... offenderish. Yep. So the Gypsy Dream it is then! Pretty gypsy caravan - the hens would have bragging rights over any neighbouring chickens. Bit like the queen does over the PM!!! You can see quite how huge the metal run is when you look at the photo above and see the Omlet Cube house inside it - it looks tiny!! I also feel like it provides a better view of the chickens than a lot of other runs. At first glance all I saw was the metal frame, but after looking for a few seconds it disappears and you see the space, the hens ... a fruit tree in there would be fantastic and think what fun the hens would have on a swing!!!! Yes, it'd be lovely...can't wait! 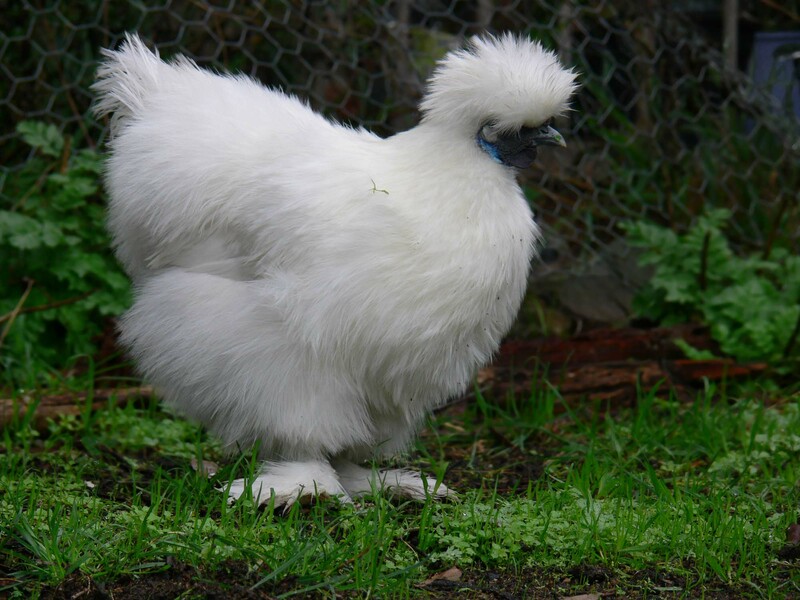 Wyandotte, chickens are a lovely breed (my vote)..Silkies and standard size chickens don't mix well together..Silkies always loose the battle...Pekin (bantam)would be better if you want to get a bantam or two. Welsummer are a nice breed too. The thing that I look for the most are "they are friendly"..not just with humans, but other chickens...then what they look like. Metal runs might not look as pretty, but they are built to last and they do keep the chickens safer..never saw a Coyote who could chew through metal. It's really up to Neil and Helen to get what they want however, I just want to see hencam back up and running. Good point on the coyote Lynn - if they can't do it the local fox can't! I suppose it would be easier to keep the red mite under control too. I would like some bantams so it looks like Pekins are the way to go! Hurrah! Not that I'm biased...but I do love 'em!